Special teams come up big in 13-6 victory. Clover Park High School, Lakewood.- On a over cast morning the Lancers would take the field against the a very strong and determined Jaguars team. The game started with the lancers making mistakes. Lancers opened the game with a 3-minute, 2-play, 50 yard rush by Xzavier Weston. Unfortunately, Weston stopped short of the in zone, spiked the ball and then walked away. Fortunately, the ball was recovered quickly and on the next play the Lancer scored taking the early lead. The lancers found them selves marching backwards instead of forwards a lot in this game. It didn’t take long for Coach SSG Rush to start making adjustments, however, even with adjustment penalties still continued to pile up. By half time the Lancers had 35 yard in penalties; fortunately the lancers still maintained a small lead. Jaguars struck back when the Lancers quarter back Rakeem Huey fumbled at mid field having the Jaguars run back for a long TD. The Lancers came off the field with heads hanging low. The coaching staff made a point of encouraging the kids not to give up. With in moments the lancer seemed to find that spark that they had earlier in the game. The game changing moment came in the 2nd quarter when Jonathan Rush returned a 70 yard kick return. In the forth quarter the Lancers defensive stopped the jaguars from moving down the field. The lancer had one lance chance to score in the last 50 seconds of the game, but came an inch short. Coach SSG “We did ok, a win is a win. If Jonathan didn't score on that KR we'd have been in a pinch, but still would've won I'm sure. I just hate being behind. 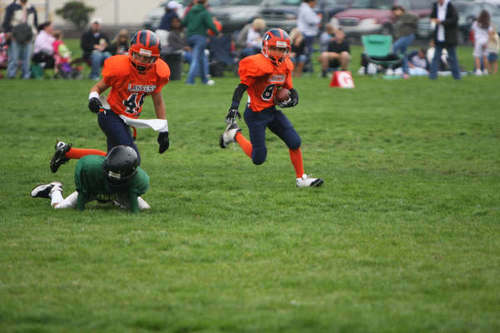 Xzavier Weston: 50 yd rushing TD, 139 yds total Rushing. 3 tackles. Jonathan Rush: 70 yd kick return TD, 130 yds total rushing. 3 tacles. J.M. 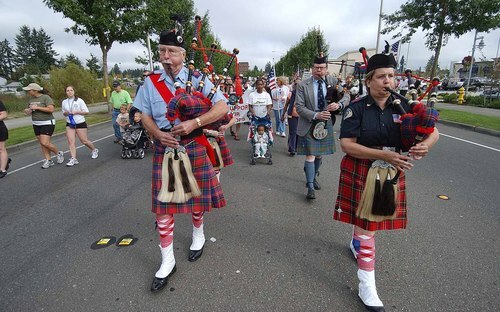 Simpson took these shots Saturday during the Family Military March in Hawks Prairie Saturday. 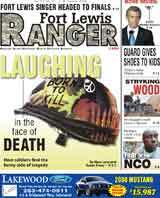 The Fort Lewis Ranger was a proud sponsor of the event. Army Brig. Gen. John D. Johnson for promotion to the grade of major general. Johnson is currently serving as deputy commanding general, I Corps and Fort Lewis, Fort Lewis, Wash.
A Georgia company is coming to Fort Lewis to make fuel out of "whatever." Click here for the report from The Early Today. afternoon in hangar 3063 at Gray Army Airfield. Soldiers arrive home throughout August and September. support of Operation Phantom Strike and Operation Phantom Phoenix. encompassed all of Multi National Division - North's area of operations. Local MPs remember their fallen comrades. Click here. 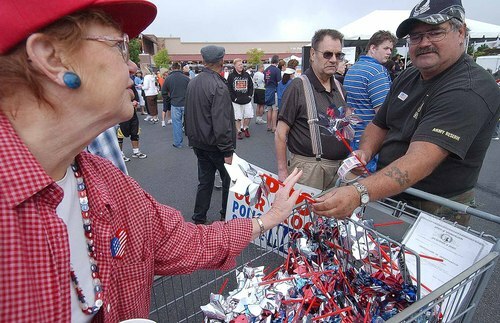 home for troops arriving this weekend. who want to enjoy the entertainment from the Foss Waterway. FORT LEWIS release – “Athletes Helping Kids” will conduct a four-hour youth football clinic at Fort Lewis Saturday, Aug. 9. Former Seattle Seahawk Ricky Ellis and eight other NFL players will work-out and interact through non-contact football drills with participants ages 9-17, beginning at 10 a.m. at the Youth Services athletics fields. The Foundation for Athletes Helping Kids has conducted similar football clinics at Forts Monroe, Bragg, and Richardson, and at Schofield Barracks in recent years. The clinics give youth athletes a chance to meet their role models- professional athletes- on common turf. The athletes hope that by sharing their sport, they will connect with participants and serve as positive examples for young people seeking to achieve their own goals in life. More than 50 retired NFL players are members of the organization. The day before the clinic, the players will tour the installation, meet with Soldiers at their units, and visit with wounded warriors assigned to the Warrior Transition Battalion. 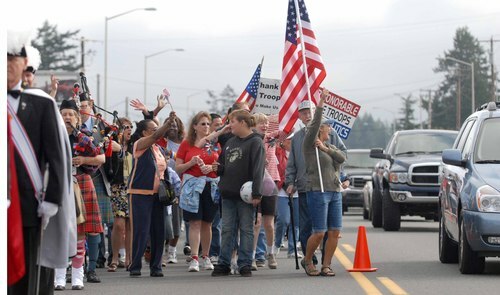 Veterans for Peace are interested in opening a coffee shop for soldiers – as told by the Seattle PI and picked up here on Michael Moore's Web site. Not sure how the troops would feel about the owners.